This is an oldie but goodie!! I hope you all had a great weekend and are ready for the week ahead. 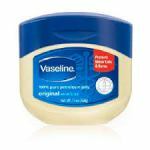 Today I want to talk about some beauty hacks that can be done by simply using Vaseline/Petroleum Jelly. Vaseline and Petroleum Jelly are the same thing, Vaseline is just the brand name. I happen to use the one from Walmart which is “Equate” Petroleum Jelly. Now I like this better than Vaseline because, Vaseline brand tends to be a little too slick for me. I don’t feel like the consistency of the products are the same and I like it to be a littler thicker. However… this is just my opinion and essentially they are the same thing and work exactly the same. On to the hacks! Vaseline is a wonder. So is coconut oil!